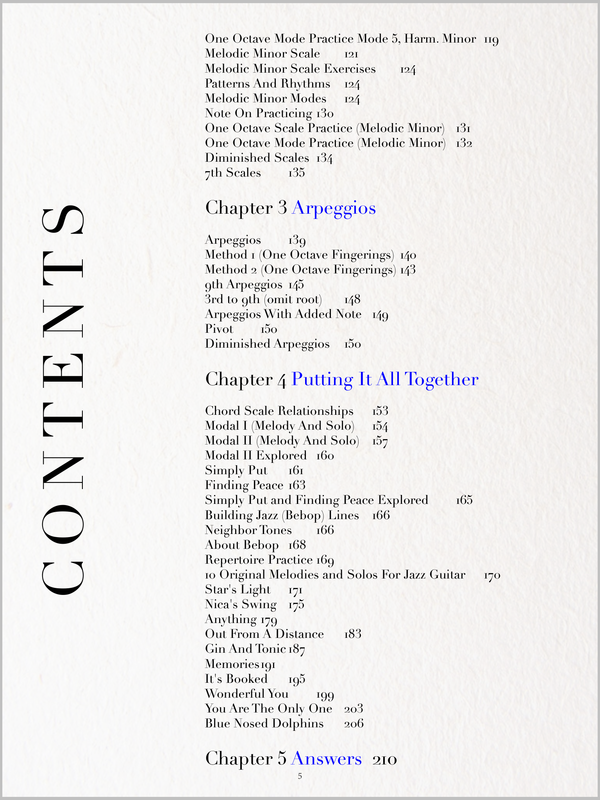 PDF Edition now with Audio! 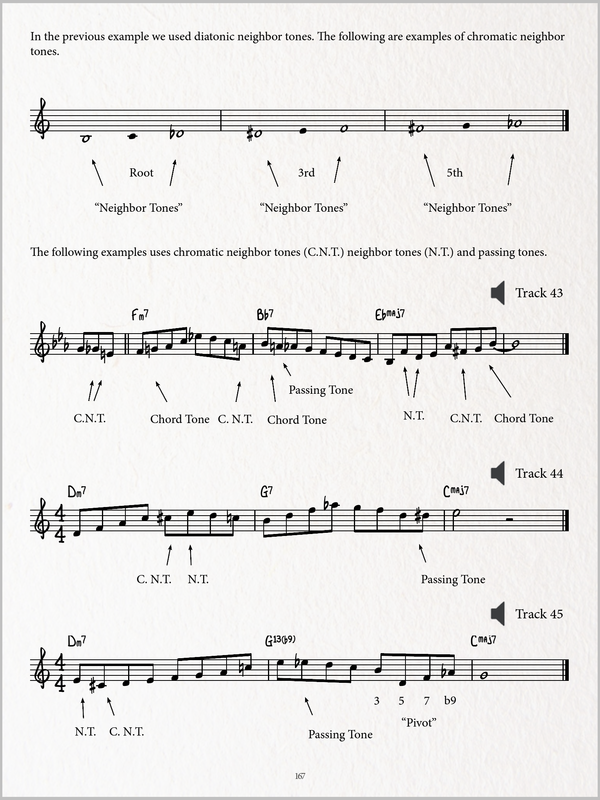 Available now, an all new PDF version of Jazz Guitar Elements. This PDF version has the exact same content as the iBooks version without the interactive elements. Audio is included in mp3 format. The book's 218 pages are filled with great explanations, examples and diagrams. 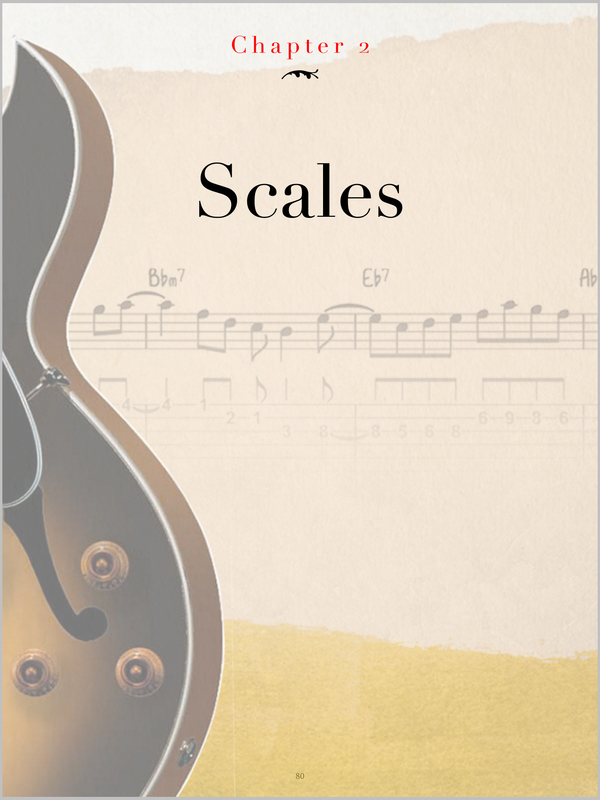 There are a total of 58 audio tracks to guide you through the musical examples. Works on computers and tablets that can open PDF files and play mp3 files. Includes new material from previous versions. Available exclusively on jazzguitarelements.com. 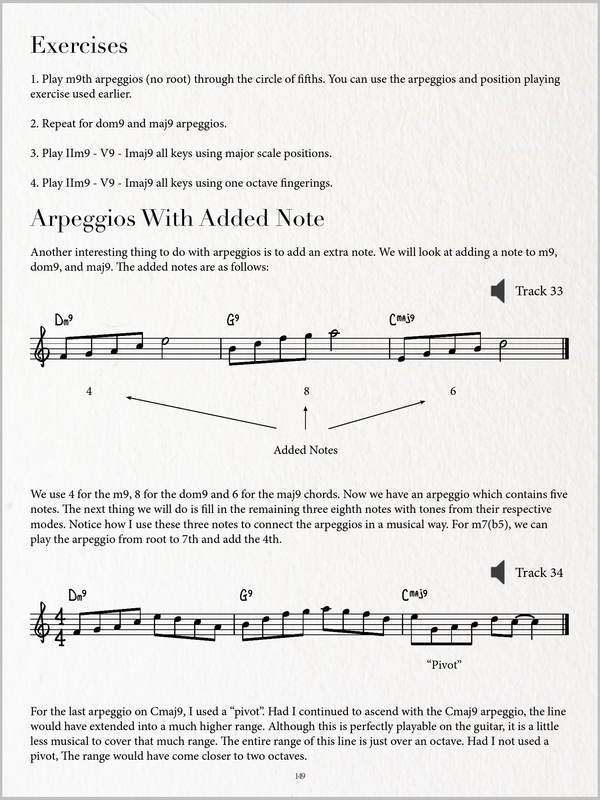 Both the iBooks version and the PDF version now include more audio tracks. (58 audio tracks) We've also added drums to all previous tracks. All of this will be a free upgrade for those using the iBooks version. 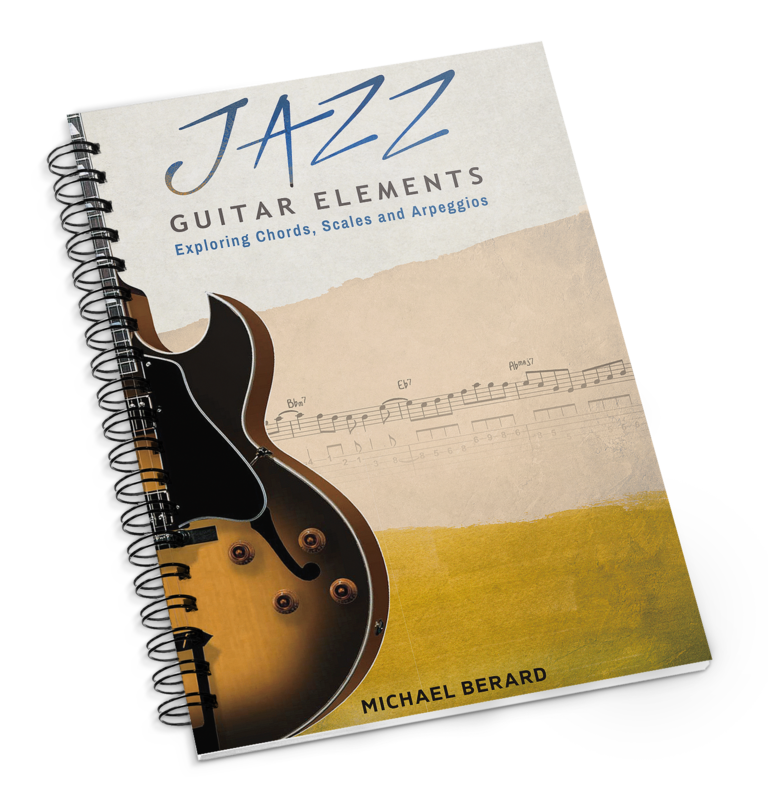 The PDF version of "Jazz Guitar Elements" works on any platform including Windows PC's, Chrome OS, Linux, iOS, Mac OS and most devices that can open a PDF file. It is "fixed layout" and not reflowable. For best viewing results, the most current version of any PDF Reader is recommended. 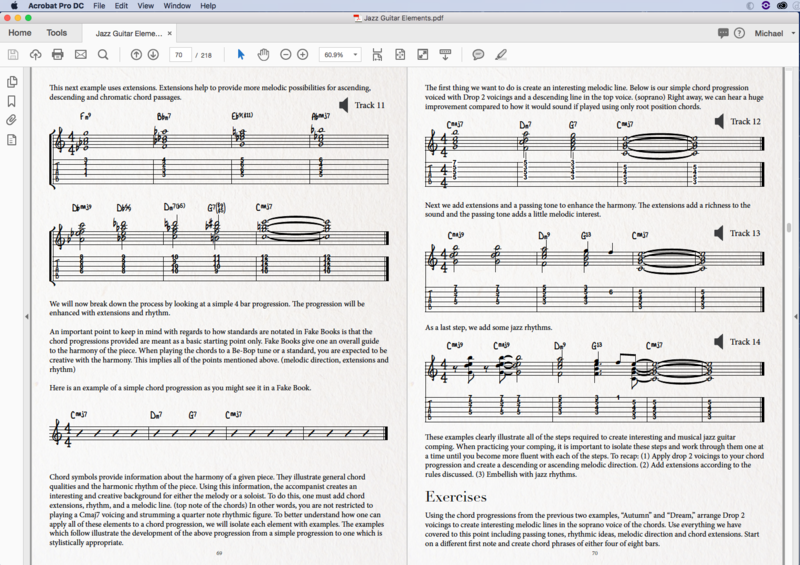 The PDF Edition of "Jazz Guitar Elements" consists of 2 files. You will download a PDF file of the book and a zip files which contains the 58 audio tracks in mp3 format. If you'd like to get a feel for the book before you buy, download one of the free samples. You can download just the book or a zip file which contains the sample PDF book and 7 mp3 files. The sample PDF book contains pages from all four chapters. Read through some of the lessons, try some of the exercises and listen to the recorded examples. There is enough material in the sample book to get you started.